In a medium-sized stock pot, heat olive oil, then add onion, fennel, celery and carrot. Cook over medium-high heat for 10 minutes, stirring frequently. Add tomato, leek, saffron, white wine, thyme, salt, pepper, bay leaf and water. Bring soup to a boil, reduce heat and simmer for 20 minutes. 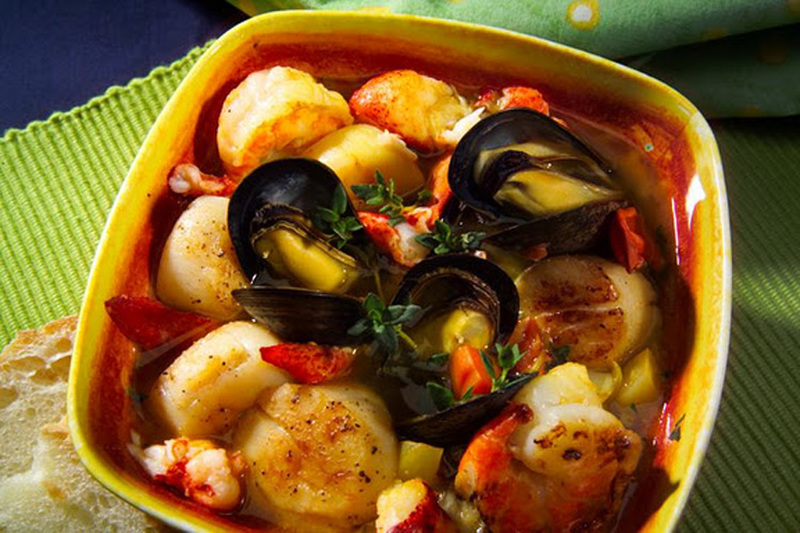 When ready to serve, add seafood, cover and cook for approximately 5 minutes until mussel shells have opened and scallops and shrimp are cooked. To serve, ladle soup into wide soup plates and garnish with fresh chopped parsley if desired.